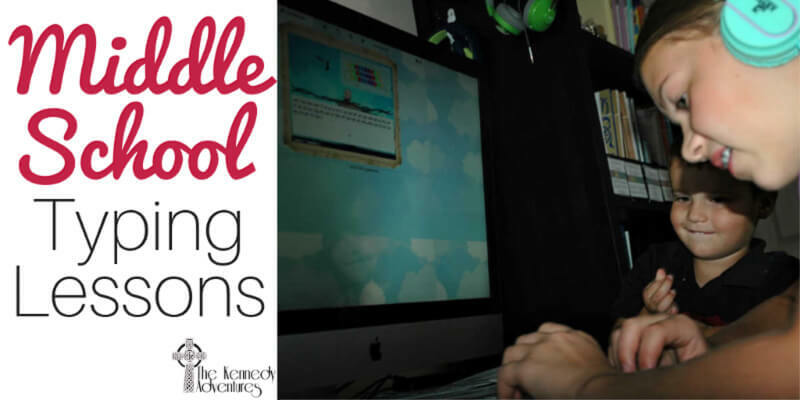 Easy Ways to Help Your Middle School Student with Typing Lessons - The Kennedy Adventures! 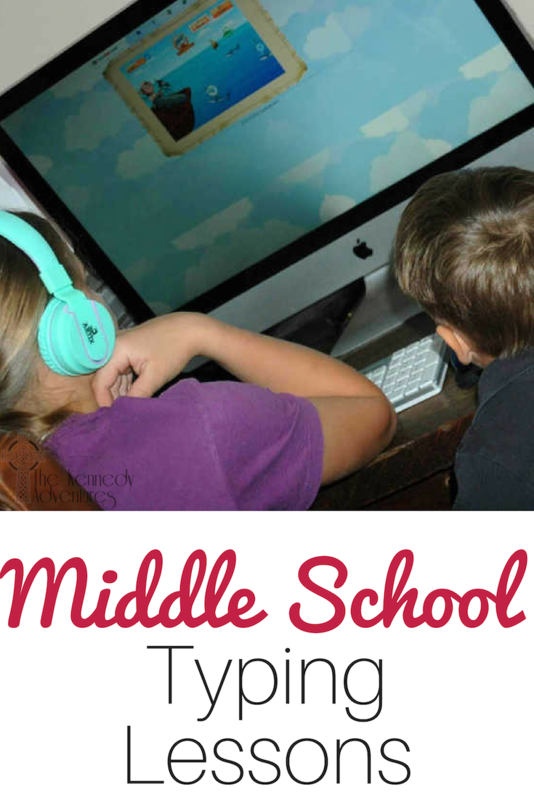 Does your middle school student need typing lessons? We’re incorporating a typing course into our homeschool this fall and keeping track of our progress. As we were looking over some of the syllabi for Rachel’s classes this fall, I heard her moan. Since I type every single day in my job as a nurse, I was confused by all the drama. More wails from the peanut gallery followed. I can type fairly quickly, but my accuracy leaves a LOT to be desired. I look like I’m typing fast, but a lot of those strokes are judicious backspacing, deleting, and starting over. We sat down together and hashed out a plan for typing success. We’re making it part of our middle school curriculum this year, just like Latin and math. I was compensated for my time to explore TypeKids with Rachel. All experiences and opinions are our very own. I know, I know. We’re all busy. Trust me, with 5 children still at home, I get it. But typing practice really doesn’t take long. For Rachel, we’re doing 15 minutes, 3 times a week. Sometimes she chunks it all together, in back to back days. Other weeks, she spreads it out, over the entire week. This one was easy for us, as her composition class requires typing this year. She’s learning how to open up Google Docs, type a paper, save it and email it to me. It’s an excellent way to incorporate technology into our classical homeschool. I’ve told my typing story. My children think I type phenomenally, but they fail to see that my speed doesn’t match my accuracy. Most of the finger flying they see includes me backing up and correcting. 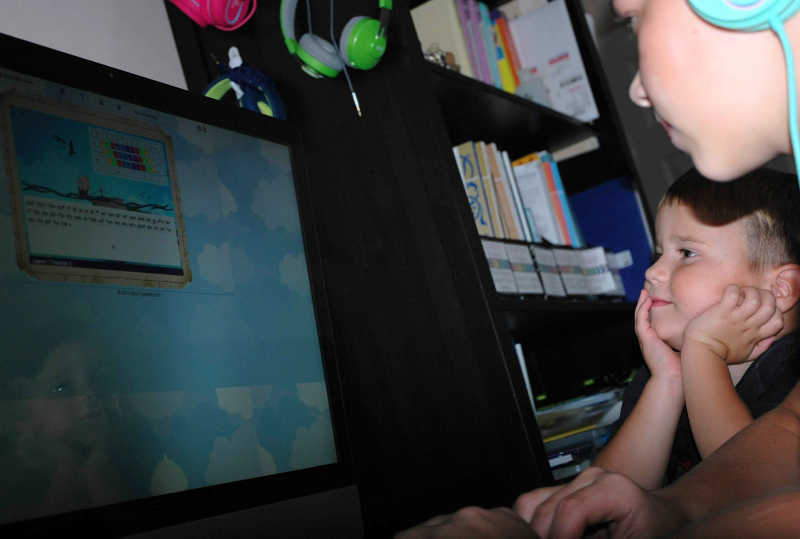 If you want to get your children typing, jump in with them and practice your skills, too. With regular practice, your middle schooler will progress quickly. Remember back to the days when you were beginning to type, and how clunky it was? Inside our TypeKids program, it’s super simple to eyeball progress reports, see what letters students are having trouble with, and see their improvement. She admits, learning to type is hard work. But, she’s motivated by the improvement she’s starting to see. Our homeschooling curriculum is pretty intense, so I didn’t want formal, stiff lessons for Rachel. Instead, we opted for TypeKids. Here, the typing lessons are presented in video format, tied into a pirate game. It’s right up her alley. Who Would Enjoy Type Kids Typing Lessons? Honestly, all the kids in my family are dying to try it. Daniel stands and watches Rachel during every lesson, which he has dubbed “Rachel’s pirate games.” Everyone wants to give it a try here. I would recommend waiting until age 8 or so before beginning. Little hands sometimes have trouble stretching past the home keys. Even as a grown up, I have to admit, the layout really appeals to me, and I’ve taken it for a spin a few times. It would be a fun way for an adult to learn touch typing. 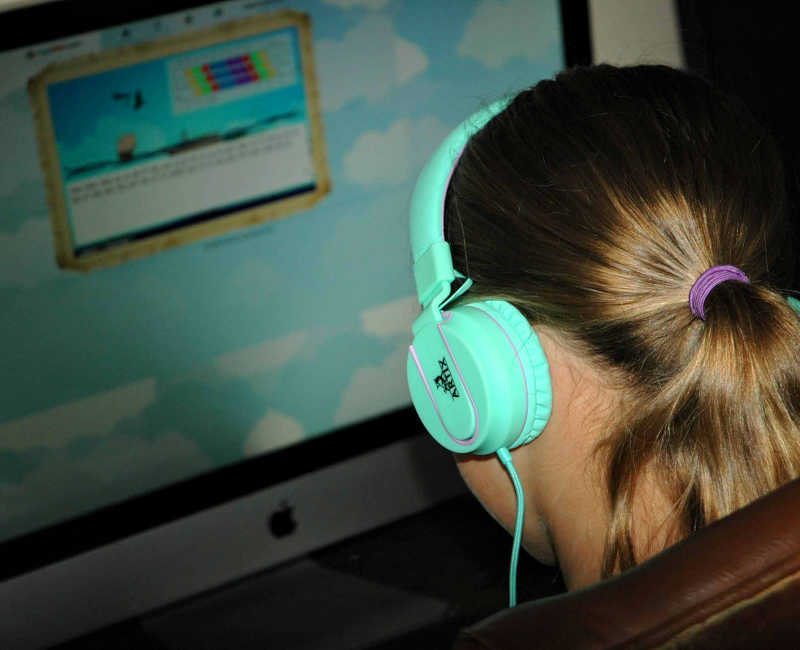 TypeKids is easy to navigate, with games, lessons, and review clearly laid out. Instead of just turning kids loose and expecting them to follow a placement chart, the program utilizes animated video to assist new typers with placement, and keeps these lessons handy for review in the dashboard. I may forget to check the dashboard, so TypeKids automatically emails parents each time children complete a lesson. These reports are also housed in the dashboard for easy access. 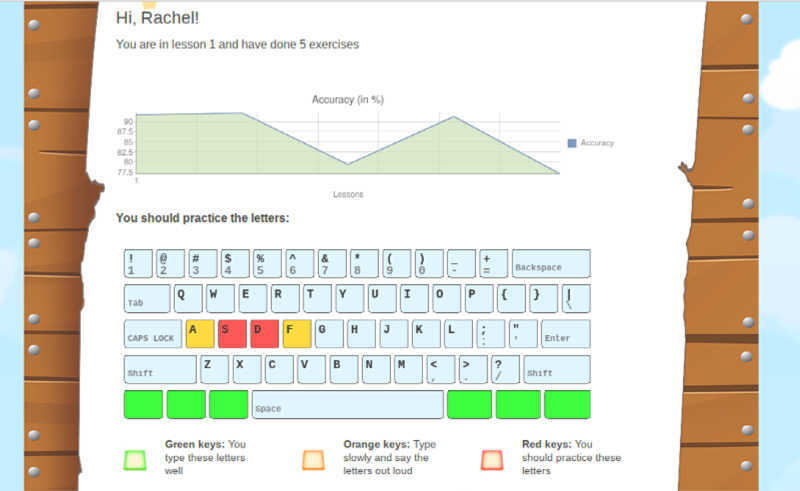 Letters on the keyboard are color coded, so that parents can tell at a glance which letters need more practice. Since there’s no program to download, we can access it from any computer at home, or even at the library. How Much are Middle School Typing Lessons? 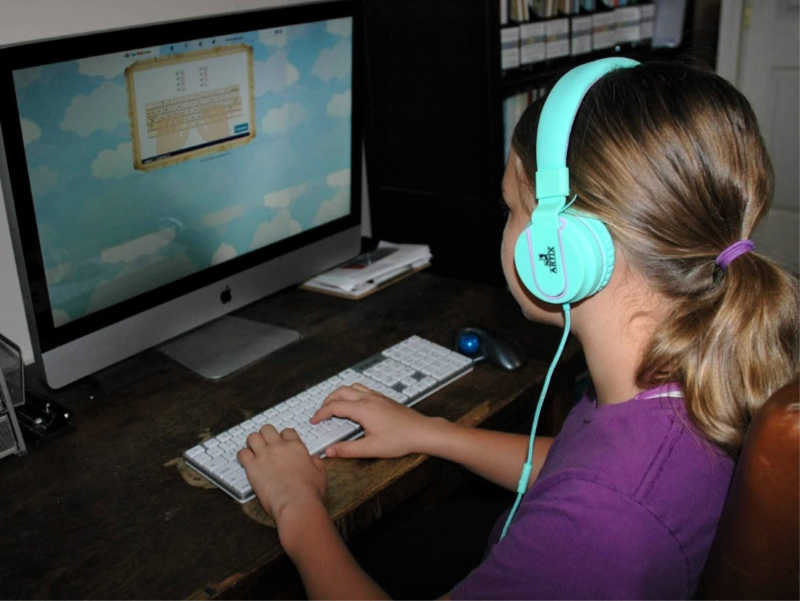 The typing course from TypeKids is 89.95 per student. You can try the first three lessons for free, to see if the format fits your family. What about you? Have you tried teaching your middle schoolers how to type correctly? How’s it going in your homeschool? Be sure and let me know in the comments.